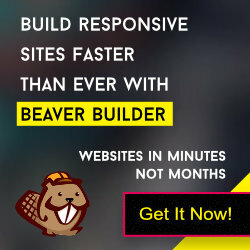 GBeaver theme provides you with inbuilt color assets option at Customizer. So users can easily overwrite the default color with a new color without editing the style.css file. Now click on Appearance -> Customize link and you will be redirected to another page. Click on “Colors & Padding” panel, expand the “Global Colors” section and setup the link color, link hover color, body text color, heading color, buttons color, etc. Lastly, click on “Save & Publish” button and save the settings. Let us know what you think about this amazing feature in our comments section!